A cosmetic dentist can help you achieve the smile of your dreams, one that can positively impact your daily life. Most people get a smile makeover because they want to look great. But a West Hollywood smile makeover dentist can achieve your new smile while also improving how your teeth function toward better dental health. A smile makeover replaces lost teeth, corrects misalignments, fills gaps and performs other types of restoration. 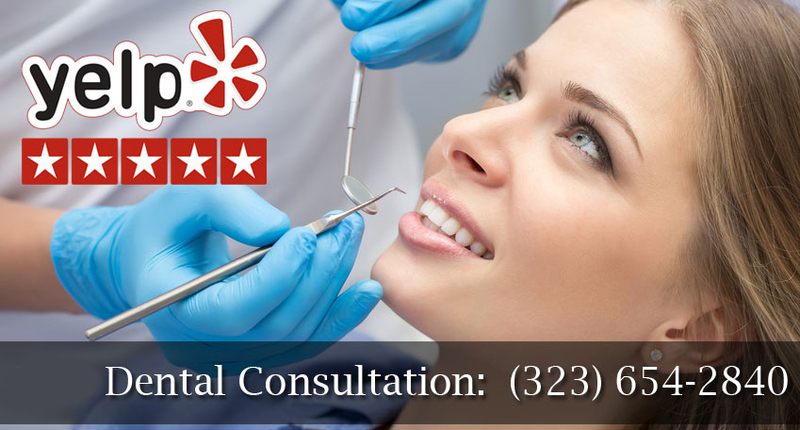 If you have been thinking about improving your smile and want to discuss options for your smile makeover, the West Hollywood Holistic and Cosmetic Dental Care smile makeover expert will help you decide which procedures are right for you. A smile makeover is improvement of your natural smile's appearance and functioning through one or several dental procedures. The smile makeover cosmetic dentist develops a treatment plan specifically for you according to the goals you have for your smile. Your smile makeover may include dental veneers, Invisalign teeth straightening, dental implants to replace missing teeth, composite bonding, teeth whitening or other procedures. A smile makeover is voluntary. These are not required for good oral health, but can improve dental health and teeth functioning. There are closely related dental treatments that are necessary for some people, such as a full mouth reconstruction. Whether you are a candidate for a smile makeover to make your appearance more striking, or you need specific improvements for oral health, your West Hollywood Holistic and Cosmetic Dental Care dentist can help you achieve those goals. Smile makeovers are unique to each patient. No two people have the same teeth or problem areas as part of their smile. 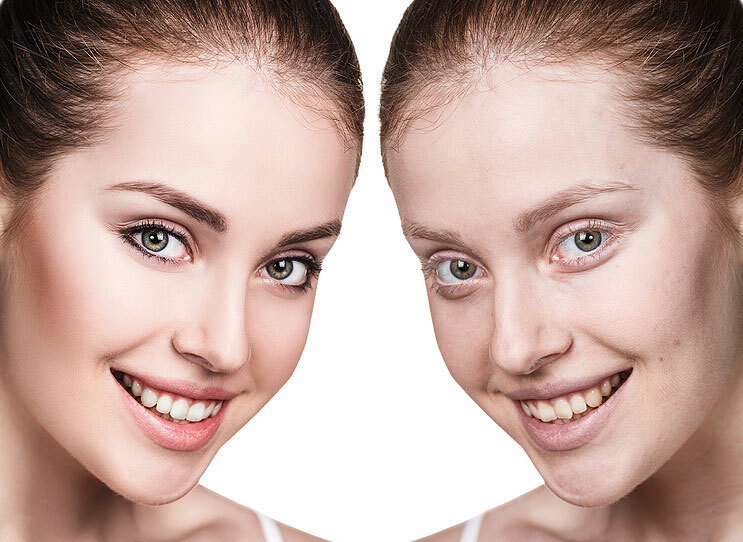 Each person also has their own facial features, skin tone and mouth shape to influence how their smile makeover should proceed. The smile makeover dentist can help complete your smile, fixing issues like missing teeth, stains, discoloration, chips, fractures and crooked teeth. Your bite can be properly aligned for better functioning and a straighter smile. Whatever your smile makeover needs, the West Hollywood cosmetic dentist will provide options for you to consider and alternatives that may work to help you reach your smile goals. What procedures are part of a West Hollywood smile makeover? A West Hollywood smile makeover may include multiple procedures and treatments designed to meet your overall goals. One of the most popular treatments associated with a smile makeover is teeth whitening. Almost any adult can instantly benefit from teeth whitening procedures, as they provide fast and effective transformation of your appearance. Teeth whitening bleaches stains on your teeth and removes deeper stains and discolorations than you can remedy through at-home or spa whitening. Your cosmetic dentist is an expert in teeth whitening and uses the latest techniques and technologies while protecting your oral tissues. If you do not need in-office teeth whitening, the West Hollywood smile makeover expert can advise you on which at-home whitening will work best for refreshing your smile. Another way to achieve a whiter, brighter smile is placement of porcelain veneers. Veneers sit on your tooth surfaces like a contact lens is placed on the eye. These veneers are highly durable, yet are super thin. Porcelain veneers are custom crafted to fit your teeth and cover up stains, worn enamel, chips, gaps and other flaws of your natural smile. You may need orthodontic treatment as part of your smile makeover. If you want straighter teeth that function as they should, visiting with the West Hollywood Holistic and Cosmetic Dental Care orthodontist may be part of your treatment plan. Braces and clear aligners can align your bite and straighten your teeth for the balanced, comfortable and beautiful smile you have wanted. The West Hollywood implant dentist may also recommend dental implants. When you have missing teeth, dental implants replace them with natural looking and feeling prosthetic teeth. Anyone can have a full, complete smile through dental implant technology. The best part of a smile makeover is that the course of treatment is highly customizable according to your individual needs. You can improve what you do not like about your smile in a smile makeover and accentuate what you do like. A smile makeover improves the appearance of your smile and makes your entire face appear more youthful, healthy and vibrant. You may be able to gain fuller lips, a fuller smile and even fuller cheeks to round out your face using orthodontics, oral maxillofacial surgery, or both. Even a "gummy" smile can be reduced, balanced and refined for a more attractive appearance. How long does your West Hollywood smile makeover last? When you gain the smile of your dreams from your West Hollywood cosmetic dentist, you need to care for it to keep it healthy and strong. This means daily oral hygiene care that includes tooth brushing, flossing and avoidance of foods, beverages and lifestyle habits that are damaging to teeth. There are aspects of a smile makeover that require maintenance through the dentist from time-to-time, such as teeth whitening. Your teeth will naturally yellow and dull through wear, so you will need to repeat the whitening procedure to maintain your new smile's vibrancy. You will also need regular checkups to ensure all of your teeth are healthy and the alterations are working as they should. Other updates and replacements may include fixing chipped or broken porcelain veneers. Dental crowns usually last ten to 15 years, so those will need to be replaced after a period of time, too. By working with highly skilled and experienced dental professionals of West Hollywood Holistic and Cosmetic Dental Care, you can expect the best of your smile's longevity and will be aware of when you should update or replace specific parts of your new, beautiful smile.